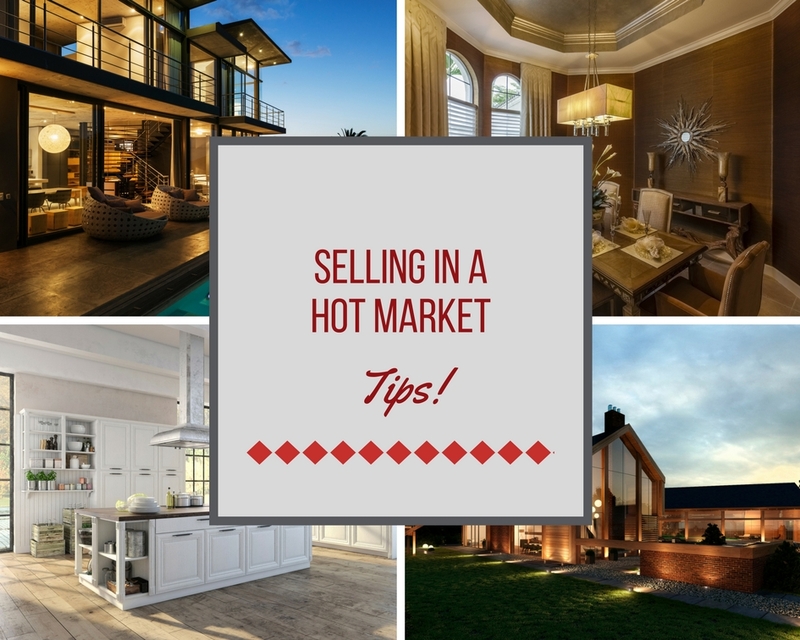 If you are planning on selling your home in this HOT San Antonio real estate market I have some tips to help you succeed. Remember strangers will becoming into your home and in this market it could be many strangers over a short period of time! They are all not going to love it like you do. However, hopefully there is that buyer that will love it as much as you and your family does. In this day and age selling a home is a complex transaction and would be recommended to pick a real estate agent that works with a proven company that can get the word out to a maximum number of buyers fast and one that understands marketing with social media. When you have decided to take the plunge, it would be wise to start thinking of yourself as a professional home seller, rather than home’s loving owner. By looking at the process from a purely financial perspective, you can distance yourself from some of the emotional aspects of selling the property that you’ve undoubtedly created many memories in. Look back to how you felt when you were shopping for that home. Most buyers will also be in an emotional state. If you can remember that you are selling not just a piece of property but also an image, a dream and a lifestyle, you’ll be more likely to put in the extra effort of staging and perhaps some minor remodeling to get top dollar for your home. These changes in appearance will not only help the sales price, but they’ll also help you create that emotional distance because the home will look less familiar. Even though real estate agents receive a commission, trying to sell your home on your own can be ill advised. A good real estate agent will help you set a fair and competitive selling price for your home that will increase your odds of a quick sale. An agent can also help take some of the high emotion out of the process by interacting directly with potential buyers, so you don’t have to and eliminating any “Just Looking”, who only want to look at your property but have no intention of putting in an offer. Real Estate agents will also have more experience in negotiating a home sales than you do, potentially helping you get more money than you could on your own. Further, if any problems crop up during the process, and they commonly, an experienced professional agent will be there to handle them for you. Finally, agents are familiar with all the paperwork and pitfalls involved in real estate transactions and can help make sure the process goes smoothly. Real estate agents also have contacts with escrow and title companies, lenders, attorneys, home inspectors, repair and exterminators. Setting a realistic price is very important, once again this is where your Realtor comes into play. They are able to look at comparable sales in your area and work with you to come up with a Realistic Sales Price. In a Hot Market, even if you are a little low on the price buyers may bid the price of your home about your original asking price. If your home is priced right, that where your Realtor comes into play, and if you are in a desirable part of town with limited inventory, you are more likely to get your asking price and may even have a bidding war. If you are trying to get to high a price or not in the hotter markets in town, you may have to take an offer below your asking price. Your Realtor should be able to advise you on what you might see happen. The winter months are a slower time to sell real estate, if you can avoid the winter period to list your home that would be smart. Summer months bring higher prices and traffic for sellers. It is a good idea to hire a professional photographer to take pictures of your home. The higher the price of the home, the smarter it becomes to have a video to be done. Plus, on a large property or ranch having a drone video done to show off the property is a must these days. The better the pics and video the more they can be used effectively on social media marketing. Since you will be having a large increase of traffic of buyers onto your property be sure you are properly insured, that way if someone has an accident you are covered. You will need to address any obvious hazards around your home and outside. Plus, getting your dogs out of the house during showing is prudent. Since any problems will be uncovered during the buyers inspection, you would be wise to get in front of that issue by having a pre-inspection and deal with any repair issues in advance. Not dealing with these issues will turn-off buyers that want a turnkey home. Plus, adding a home warranty on home appliances, water heaters and HVAC is a very inexpensive way to assure you will not be dealing with any repairs during the listing period. You will need to clean and stage your home, if not you risk turning off potential buyers. Hiring a professional maybe the way to go, if that is out of your price range there are many things you can do on your own. Not doing these things will not only reduce your sale price but may also prevent you from getting a sale at all. Work with your Real Estate agent that has a fresh pair of eyes point out areas of your home that need work. Because of your familiarity with the home; you may have become immune to its trouble spots. A major key is to declutter your home, cleaning thoroughly, putting a fresh coat of paint on the walls and getting rid of any odors are very important as well. In a Hot Market you need to stay ready to have someone view your home at anytime and in some cases many people after the home goes on the market. You need to try and accommodate these people, even if it is inconvenient for you. So the best tip is keep your house clean and decluttered, that way it is easier to be ready for every single visit. A buyer won’t know and won’t care if your house was clean last week if it isn’t clean when he or she views it. Yes, this can be a lot of work, but remember the goal is to get as much as your can for your home. In a Hot Market you need to be working only with qualified buyers. They need to have a pre-approval letter from a mortgage lender or proof of funds for a cash buyer. Entering into a contract with a buyer whose purchase of your home is contingent on the sale of their own property may also put you in a serious bind if you need to close your transaction by a particular date.